Are the videos from real cases? Unless clearly stated, they are drawn from our collective experience of real cases but heavily disguised beyond any possibility that someone would recognise any of the original clients. Why do you use real case material? In a few special situations where the client agrees to tell their story of therapy and where the purpose is to learn from clients’ experience. In all other cases, we decided to create situations that focus on a specific problem, such as a client using an avoidance defence, because it would be extraordinarily difficult to film such an episode as it’s occurring in a session with or without the client’s permission. Also, filming as we have, has enabled us to create high-quality films, which is impossible without attention to lighting, shooting scripts, etc. How do you decide what subject areas to cover ? We did quite extensive research on this issue using a questionnaire in the early part of 2018. This allowed us to prioritise the list of possible subjects, and this is reflected in the videos available to date and what subjects we will focus on next. We would love to hear what you think we should cover – please contact us and let us know. How many new videos do you expect to add each year? We are aiming at one a month, but would like to up this rate if and when further investment funds become available. Does learning from these videos count for CPD points? At some point we hope they will, and we are in conversation with the UK & Ireland Association about this matter. At the moment, no video training material is being awarded CPD points after an EMDR Europe directive saying that before this could happen, each national EMDR Association needed to set up a working group or committee to consider all aspects relating to online training. Dr Jane Ware, writing on behalf of the UK & Ireland Accreditation Committee, indicated that such a group will be convened. Why did you choose these particular two partners? Trauma Aid was of particular interest to Richard. As a former CEO of a Relief and Development organisation working in war-and-violence torn countries, including Bosnia, Lebanon, and some Central Asia countries, he saw trauma visited on civilians on a huge scale where little or no effective treatment existed. Training local people in-situ is far more effective long term, and far less expensive, than sending Westerners, however well motivated, into the field. 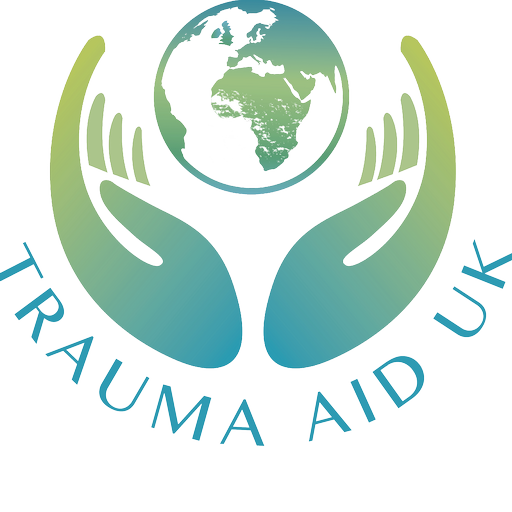 Trauma Aid is a key player in developing a long-term, permanent trauma treatment capacity in the Middle East and elsewhere, and deserves all our support. Ulf Jarisch, Director of EMDR Equipment Europe, and we share a set of common interests: we want to see that EMDR is well resourced; we want to see that humanitarian concerns are given prominence; and we want to see that learning and equipment is available at affordable cost. Working together we believe will further these interests. Why do the videos only show short sets of Bilateral Stimulation (BLS)? We show short sets to indicate when BLS should be applied. Doing normal sets with 20 plus sweeps would make the videos longer and more expensive without significant compensating advantages in terms of learning.